We need your help to make the Williams Road Bridge look like this! The money is for flowers and watering in 2016. The old planters from the Warrenville Rd. bridge will be re-purposed onto the Williams Rd. bridge. This is planned as a one-time fundraiser. Hopefully, next year the flowers and watering will be included in a hotel motel tax grant from the city. 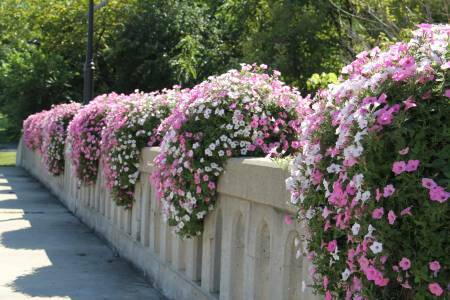 Warrenville in Bloom (WIB) is coordinating this project using Go Fund Me. Your gift is tax-deductible. If we each make a small donation, we'll all drive over a beautiful bridge this summer!